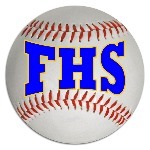 Brady Douglas didn't allow a single hit as Falmouth JV defeated Cape Elizabeth 12-0 on Monday. To get the final out Douglas struck out #23. An early lead helped propel Falmouth JV to victory. Falmouth JV took the lead on a wild pitch in the first inning. Falmouth JV captured the lead in the first inning. Falmouth JV scored five runs in the fourth inning. Falmouth JV scored on a double by Jack Kidder, a single , a error, and a single by Eli Rapkin Stiles. Brady Douglas earned the win for Falmouth Falmouth JV. He went five innings, surrendering zero runs, zero hits, and striking out nine. Connor Coffin, Rapkin Stiles, Jackman Graver, Nate Rogers, Nick Mancini, Kidder, Jackson Quinn, and Douglas each collected one hit to lead Falmouth Falmouth JV. Falmouth Falmouth JV was sure-handed and didn't commit a single error. Ike Kiely made the most plays with nine.